Duraquip’s telehandler bucket brush has been expertly engineered for use with the telehandlers that you already have on site. The floating design of the attachment allows for a range of uneven surfaces to be swept effectively and with ease. Heavy duty castors beneath the telehandler brush attachment allow it to be guided in and out of awkward corners in industrial premises and yards. 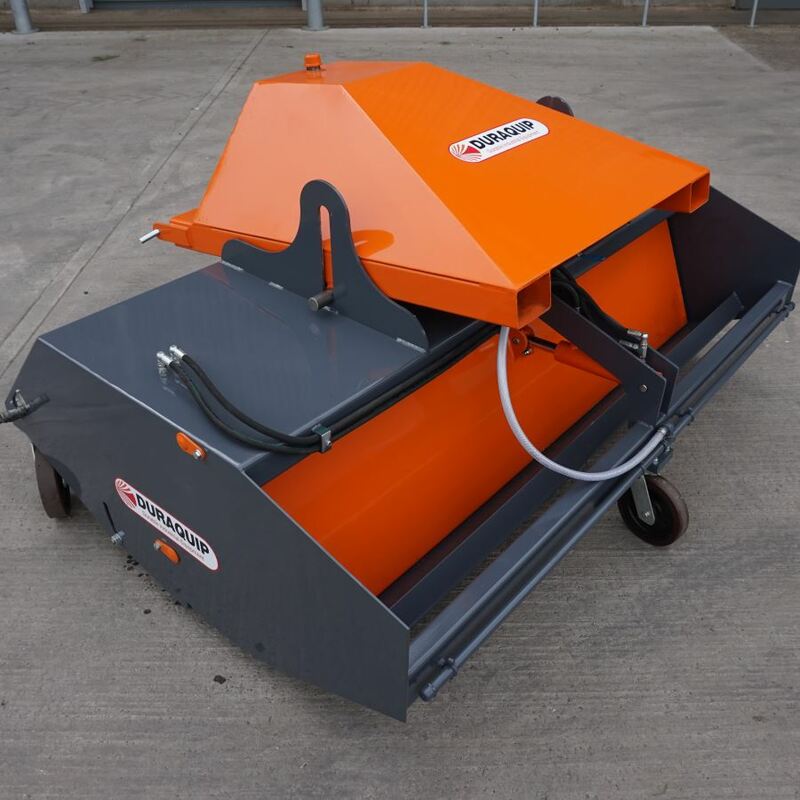 For protection, this bucket sweeper attachment has its motor mounted within the shell width. 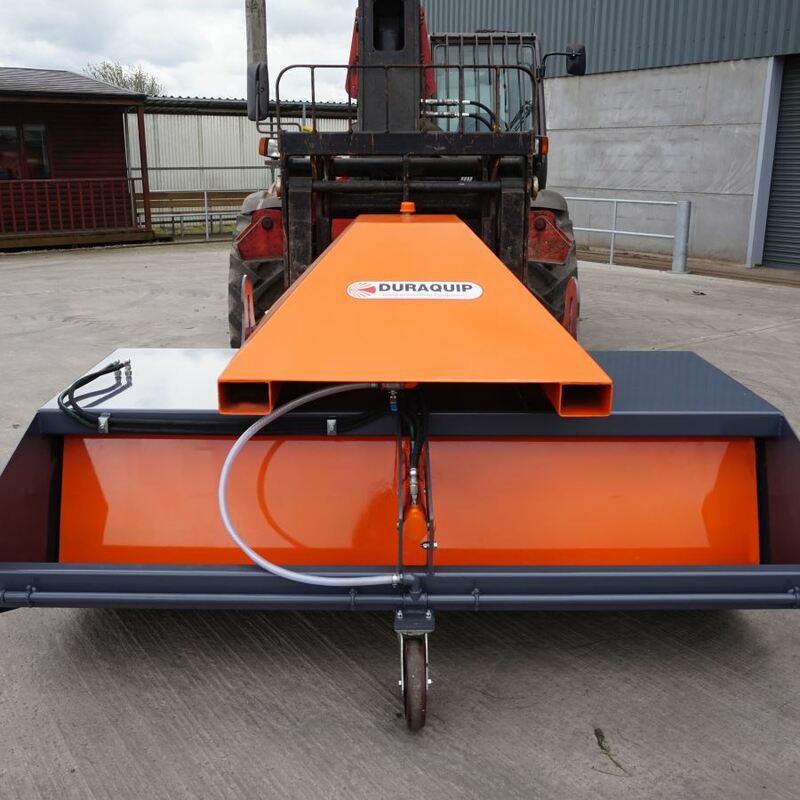 This allows your operator to sweep right up to walls and prevents damage to the motor from any accidental collisions or bumps. 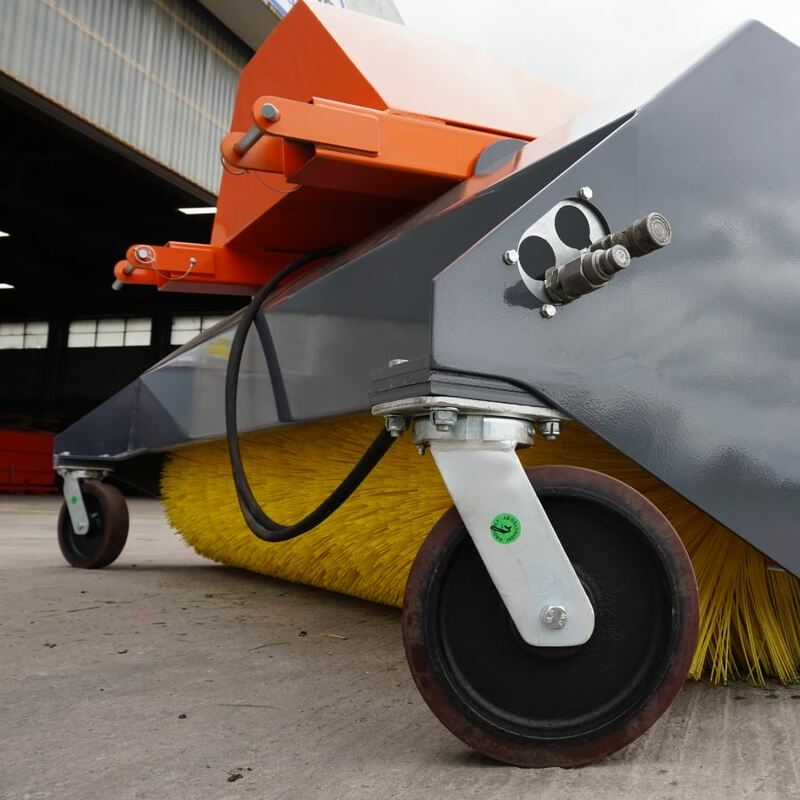 Our bucket brush attachment for telehandlers is a highly efficient yard sweeping solution for industrial sites. 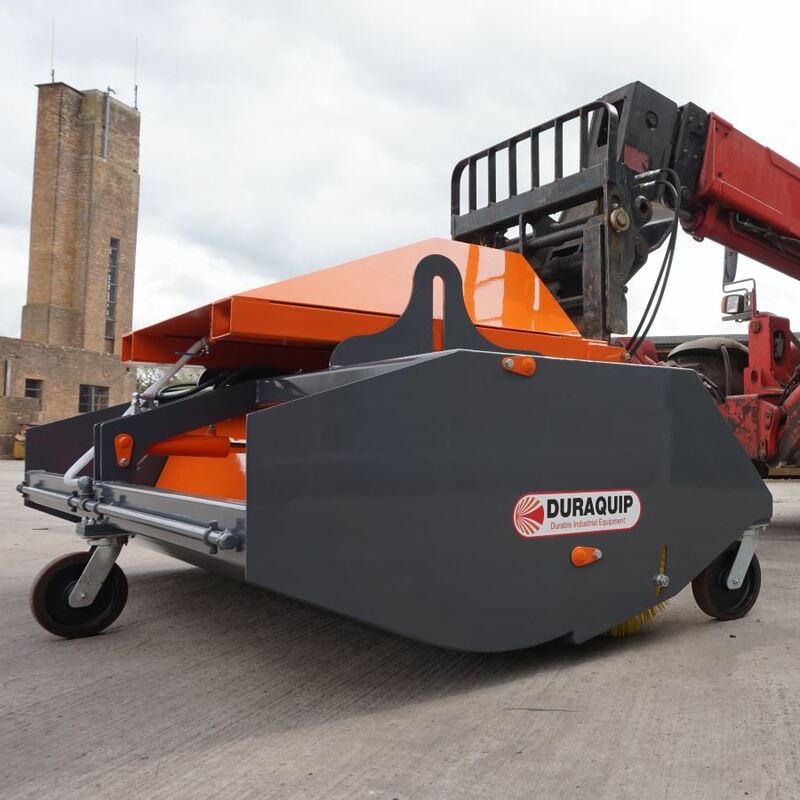 Duraquip manufactures this bucket sweeper attachment with 5mm thick steel to create a single piece folded shell. It benefits your operator with its hydraulic driven self-emptying collector: allowing easy use and faster cleaning and emptying cycles. As standard with all our brushes and sweepers the telehandler bucket brush sweeper has 22” bristles. We offer either polypropylene or a mixture of wire and polypropylene bristles. To avoid the risk of livestock ingesting metallic fragments, we advise only using polypropylene bristles anywhere that animals are likely to graze or congregate. 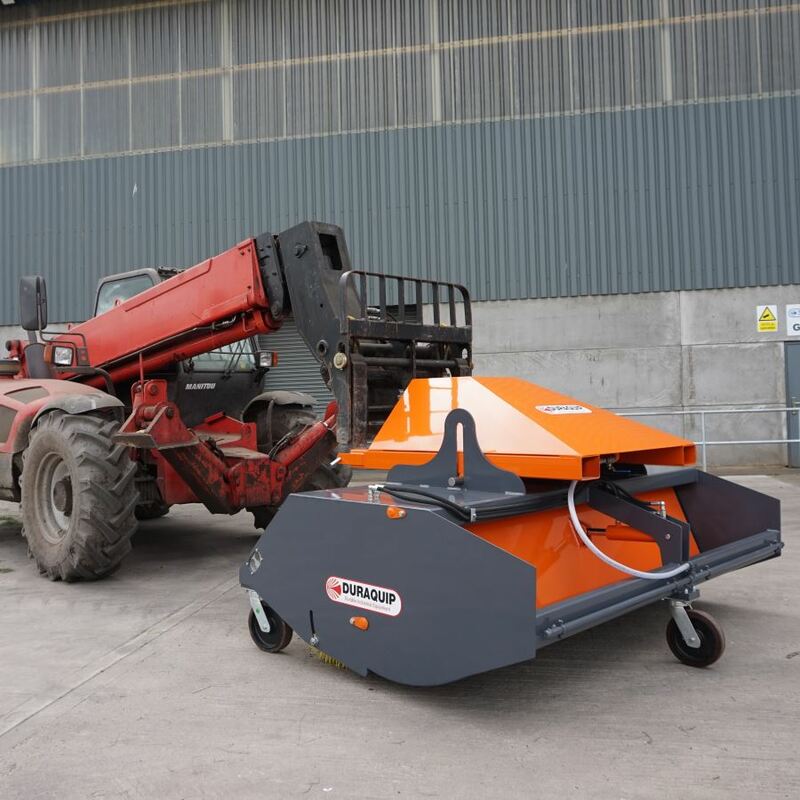 This design has evolved over the course of 30 years as our Cumbria based designers and engineers have updated it from customer feedback and experience on our Agriquip range of agricultural yard sweepers. 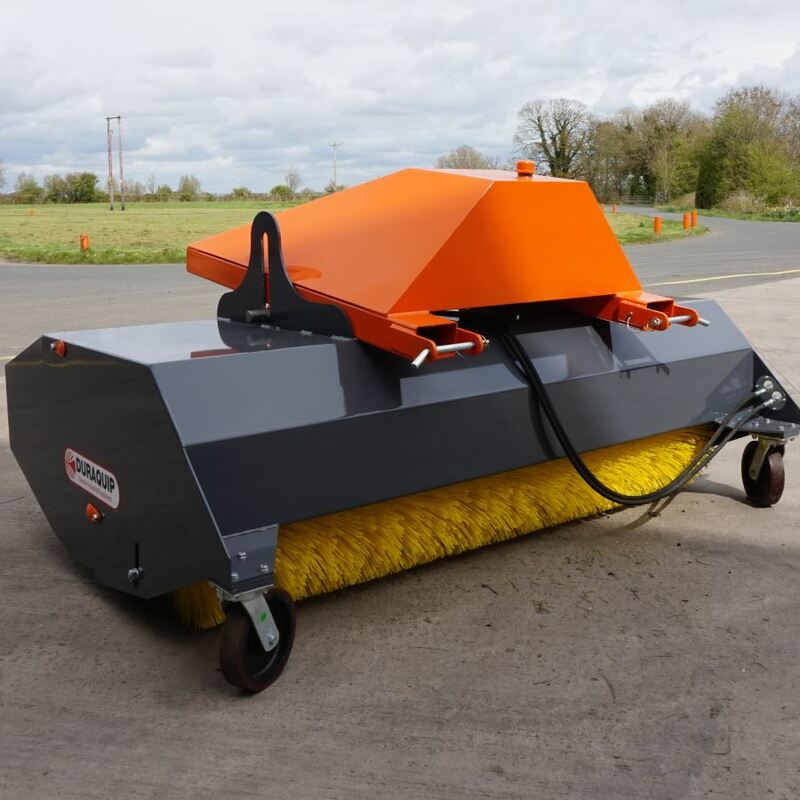 It’s now versatile enough to handle a demanding range of industrial yard and large area cleaning challenges! The telehandler brush attachment has 2 upgrade options. Kerb brush. A secondary brush; attached low down on the leading edge on either side, for improved “up to the edge” cleaning and tight spaces. 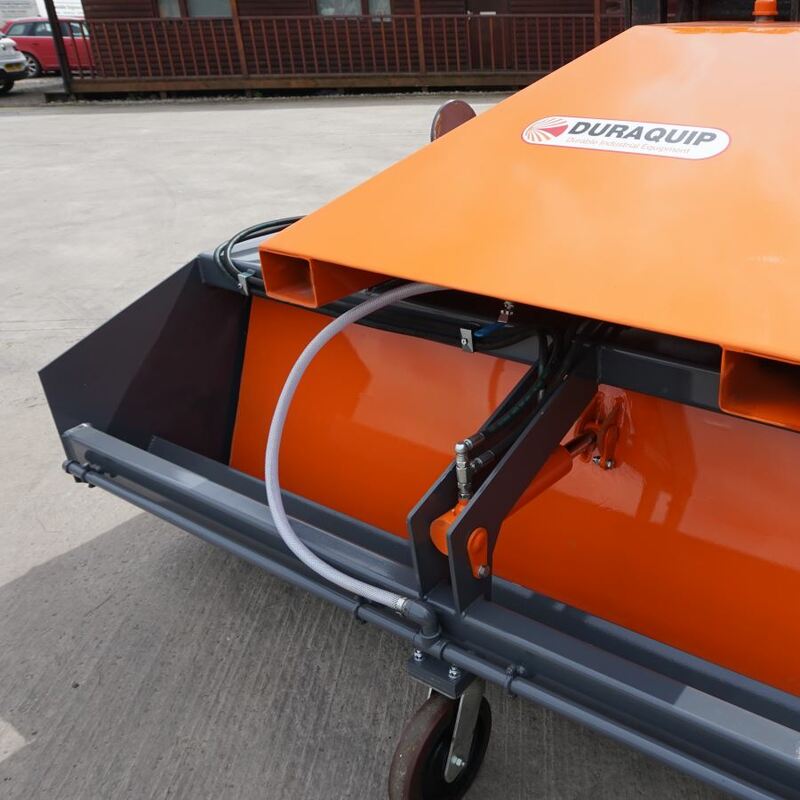 These design extras help to make this Duraquip hydraulic bucket brush sweeper & collector stand out from the rest and ease the burden of keeping sites clean and safe.